Both Bill Kenwright and Roberto Martinez have made it abundantly clear that John Stones is not for sale. Bill Kenwright has been speaking to Sky Sports about Everton’s summer objectives. 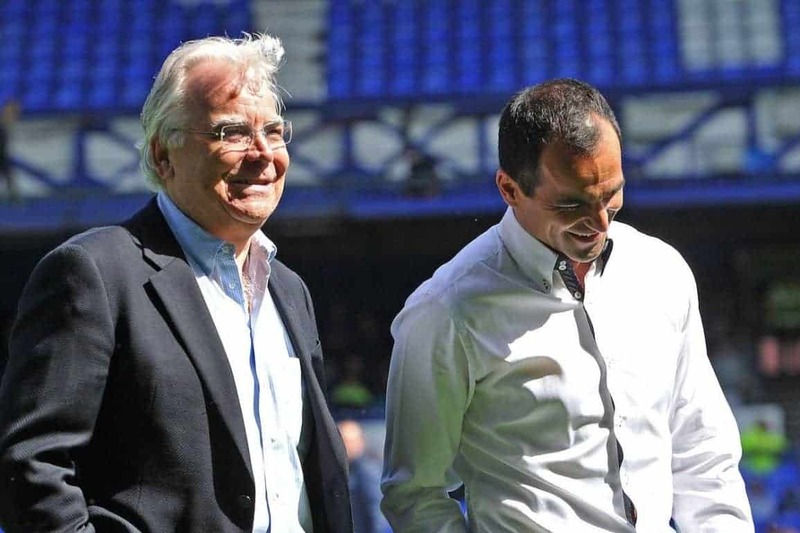 Kenwright spoke about his delight to have secured the services of Romelu Lukaku and Gareth Barry, and to have also secured extended deals for Roberto Martinez, Ross Barkley, Seamus Coleman and John Stones. Kenwright: “We had a number of objectives at the start of the summer. “The first was to get manager Roberto (Martinez) on a long-term deal because that was paramount and once we’d done that we knew the rest would follow. “There was John Stones, Ross Barkley and Seamus Coleman we wanted on long-term deals – who are three of the hottest young properties in the Premier League at the moment. We knew there was interest from other clubs in them. “John was awesome. The lad is a complete footballer as are Seamus and Ross. “It’s great we have a manager who wants to bring the good times back to Goodison – and he’s doing it via youth. I have phone conversations at one o’clock in the morning with Roberto, talking things through. “We had a few bob to spend this summer. Chelsea were terrific, his family were terrific and Rom was our number one choice. “The deal had to go on hold for four weeks because he was off to the World Cup. “But it was mega when we signed him because most Evertonians will tell you that our turnaround in our season was that extraordinary day at the end of the transfer window last August when we signed Rom, Gareth Barry, James McCarthy all in the space of about 40 minutes at the end of the window. “And to get Rom full-time is great. All the lads wanted him back too and they were texting him.